There are no registration charges for Indian user if they enter their Indian mobile number. Mobile number is mandatory registration without mobile is not allowed. If you are in India and fee not paid by you then it is only because of it. The International/NRI users with ISD code other than 91 have to pay registration fees after successful registration on the first login. Please note that the Registration fee for International/NRI users is Rs. 100 + GST. 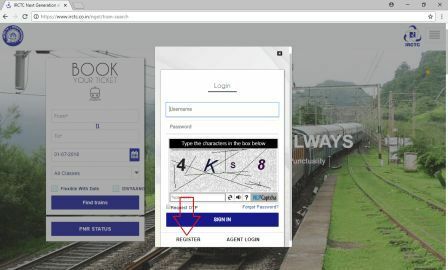 IRCTC allows only a single account registration for online ticket booking. Thus only maintain and create a single account and use the same account always. Also, provide correct information otherwise the account will get removed. Provide valid E-Mail ID and mobile number on the registration form. Because the user id, password, and an activation link will send to your registered E-Mail id. And a mobile verification code will send to the registered mobile number. It will save time and will help to book tickets as per the requirements. Helps to cancel the tickets and check the past booked ticket history. When you failed to catch the train and not travel on a train. Provides option to file an online TDR. So everyone should create an account on irctc.co.in. IRCTC account registration is important. 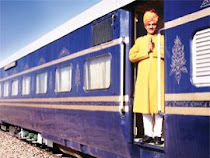 And required to book tickets online through IRCTC website www.irctc.co.in. An IRCTC account required to authenticate the user on the IRCTC website. All the details related to the user's personal details. And ticket booking history details, maintained by the IRCTC in user's account. The user can check these details anytime by sign-in the website. IRCTC new user registration time is 24/7 but except 11:30 PM to 1:30 AM and during Tatkal time 8:30 AM to 12:30 PM new registration is not allowed. There is no limit on IRTC activation time, it can be done any time. IRCTC sign up and user registration time is blocked for few hours that other user smoothly use the website when there is heavy load and when the website requires maintenance. 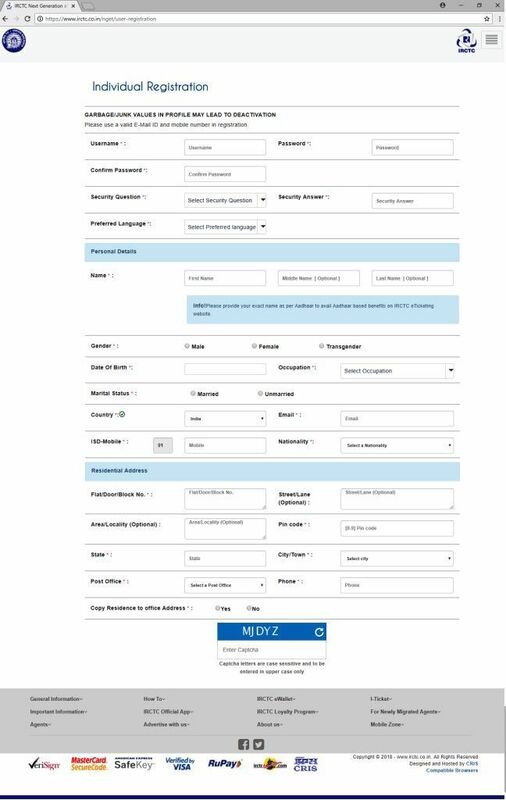 Open the new IRCTC website https://www.irctc.co.in/nget/train-search and click on the menu button. Then click on "Login" link to open the new login box. This login box has a link to registration form. Click on it to open a new registration form. It will open a registration form as shown in the picture below with following sections. While filling up the registration form, the fields marked with a red star are mandatory to fill. But you can skip the fields which are not marked with the red star. Select a username for the new account. The username should be between 3 to 10 characters. Click on Check Availability link to check the username is available or not. If not available then try a different username. Always remember your username because it will require to sign in to the new account. Then enter the details which will be requested from you to issue a new password, if you forget your password. Then provide proper address details. It is very important when you book I-ticket through IRCTC account. Because IRCTC sends tickets by courier to the address you provides. Although you can provide a different address at the time of train ticket booking. It will help you to book tickets faster at the time of Tatkal ticket booking. If you maintain the correct address in your IRCTC account. Then it can be used with a click of a button instead of entering it, again and again, each time when you books ticket. Enter the verification code as given in the image. If you are unable to read it then you can use the refresh button on IRCTC new registration form to get a new code. Click on submit button of the registration form to complete the account registration. You can also use the reset button to clear the form so that you can enter all the details again if required. After clicking on submit button a pop up will appear as follows, If the entered email id and the mobile number are correct, click OK button to proceed further steps of IRCTC new registration. Now you will present with terms and condition page. Click on Accept button to continue the new registration process. Once you accept terms and condition, the registration completion message will display. Accept it to finish. Now check your email account and mobile phone number. That you have provided in the registration form to verify email and mobile numbers. Click on the activation link received through e-mail. Or log in to IRCTC website through the user id and password received through e-mail. And enter the mobile verification code received through SMS. And click on submit button to activate your new account. To get the mobile verification code. If you have not received it earlier click on first "Click Here" link. To update your registered mobile number. If you entered a wrong mobile number at the time of registration click on the second "Click Here" link. If you received more than one messages with different mobile verification codes. The recent verification code should use to activate your account. Once you verify the email account and mobile phone. The IRCTC new account registration process is complete. After successful activation of your account, you can change your password through ‘Change Password’ link. Or you can use the same password received through email. Congratulations, your IRCTC registration is complete. 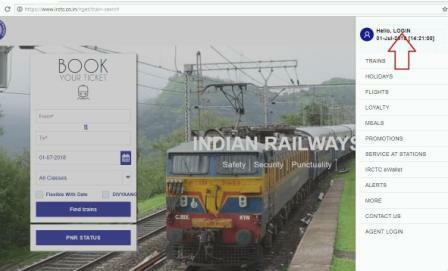 And a new account is ready, now you can Login IRCTC account to book ticket from home and office. Instead of standing in long ques at reservation counter. Online ticket booking is very safe. IRCTC website provides all security to your personal data and booking payment transaction. So you can book tickets without any fear. The IRCTC account is much helpful to book Tatkal Tickets. Booking Tatkal ticket on the counter is very difficult. But with an online ticket booking account, you can book tickets as soon as Tatkal timings start. So enjoy online ticketing. 1. You booked a ticket but payment transaction session got expired. In this case IRCTC or the bank who so have the payment will refund it in 48 hrs if ticket is not booked. 2. Your ticket got booked but confirmation intimation not received. In this case you can login your account and check ticket booked history to print the ticket and send e-ticket SMS on your mobile. First you have to login into your IRCTC account then go to "Update Profile" available under "My Account" link in the sidebar menu. From update profile page you can enter new mobile number by clicking edit link given after ISD-Mobile/Country option. How do I register in Irctc? I want to book ticket online and not from railway reservation counter. Please create my account. You have to Create New Account for IRCTC Registration by yourself. For that you need a valid email id and mobile number. The process is explained above. You have to open the form and fill the details and submit it. Then you have to verify your email and mobile number. For any further help you can contact us on the contact details along with our Facebook page are given at the bottom. Can I book railway tickets from this website, as I registered. It is just a help guide, you can book tickets from clicking the green button in the top. We have also provided other important tools which will always help after online ticket booking. You can bookmark this website for future reference. No, you can only use your e-wallet account to book e-tickets. How to receive refund of cancelled e ticket. Refund is automatically processed by IRCTC. Hopefully you should get it within 48 hrs. It is simple, Open your login account and then go to your profile. In your profile you can change your mobile number. I forgot my user ID..how can I retrieve ? You can get your registered login id from the oldest email from ticktadmin@irctc.co.in in your registered email account. How to change my mail Id in irctc? Any Options to cancel Tatkal ticket? How I can book the retiring room at station.